Mention prepayment in the context of competitive energy retail markets and the chances are the conversation will turn to dumb meters, the hassle of going to the shops to top up, the inconvenience of disconnection, or the arrival of smart pay as you go. But these days the concept of paying in advance for energy doesn’t just touch the traditional prepayment segment. It’s also starting to find a home among the mainstream credit plans of a growing number of competitive energy retailers. This article takes a look at how energy suppliers are introducing new advance payment methods and what it means for their businesses and their customers. Most of OVO Energy’s customers pay for their gas and electricity a month in advance by direct debit (DD). The supplier is one of the UK’s most successful new entrants, having acquired over half a million customers in six years. In return for paying ahead for their supply, OVO DD customers benefit not just from a competitive price for their fuel. Under OVO’s 3% Interest Reward scheme, they also receive interest on any credit balance remaining once all monthly charges have been settled. The interest is treated as a prepayment discount, so customers don’t have to count it as taxable income. The interest reward scheme, which at the moment only OVO offers (along with its affiliated brands), is all part of OVO’s philosophy of passing on benefits to customers. But it’s also an antidote to any misgivings consumers may have about energy companies sitting on wads of cash from their annual DD (level billing) schemes. OVO isn’t the only UK supplier with a pay-in-advance DD plan. 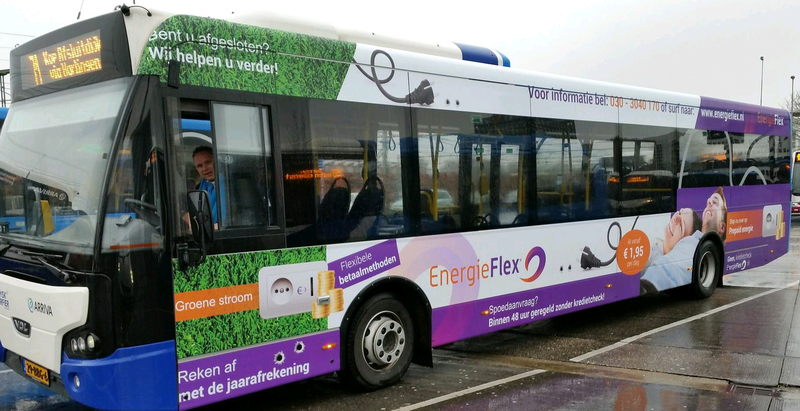 Various other independents are offering similar arrangements, including Flow Energy, GB Energy Supply, isupplyenergy, Octopus Energy, So Energy and Spark Energy. 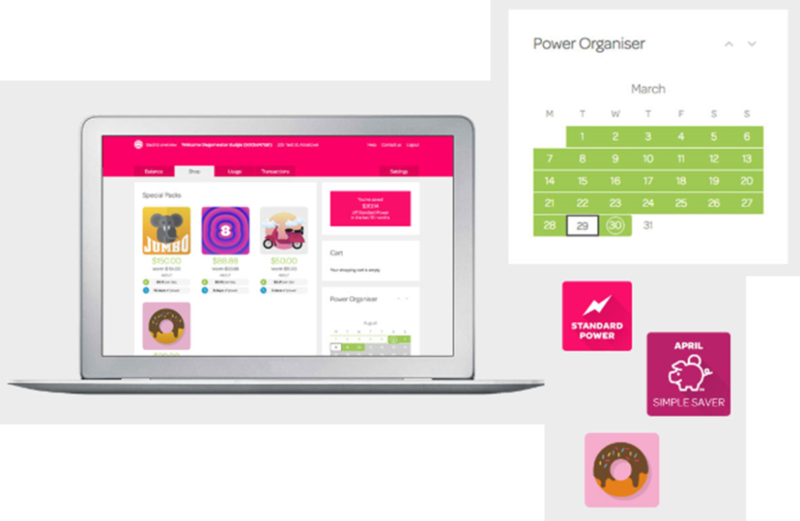 Powershop – a competitive retailer in New Zealand serving 100,000 customers – offers a novel way of buying electricity, based around purchasing ‘Powerpacks’ (credit) from an online shop and using monitoring tools to track consumption. There are no fixed-term contracts or prompt payment discounts. The offering combines, in effect, prepaid and postpaid service. Customers are incentivised to buy their power in advance. They get the best prices by visiting the Powershop website regularly to buy discounted top-up packs and take advantage of short-term deals. Customers can also buy ahead packs for use at a later date, such as during the winter months, to help them manage their budgets. Powershop customers are given online tools and a mobile app to track their consumption against their Powerpacks. The supplier emails customers when they’ve used up the energy they’ve purchased, so that they can buy more power before their accounts are reviewed at the month’s end. But even if customers don’t buy enough power to cover their full monthly usage, there is no risk of getting disconnected. Instead, they just pay at the end of the month for any excess power they’ve consumed using a chosen default payment method (e.g. a credit or debit card or registered bank account). Powershop enjoys high customer satisfaction levels, which it says have averaged over 90% since 2009. The anatomy of these pay-ahead plans brings clear business benefits for the energy companies. Not least is the cashflow improvement that flows from having the majority of customers paying upfront for their consumption. This helps suppliers buy ahead gas and electricity at better prices, and then pass on those savings to customers in the form of competitive tariffs. By offering lower prices, suppliers can also rank higher on price comparison websites. That’s good for attracting new customers, as well as for boosting brand awareness. Advance-pay arrangements can also lower the energy companies’ exposure to bad debt. For plans like OVO’s, at the point when a customer misses a DD payment for the first time, they will have accrued little debt. This heads-up on payment problems gives the supplier a chance to tackle any issues the customer has before the levels of debt become insurmountable. OVO also points out that staying in credit benefits customers too, as being in debt can make it harder to switch suppliers. For Powershop, the emphasis is very much on helping customers stay on top of their budgets, by giving them tools to track their consumption and spend. In that respect, there are similarities with the new smart meter based PAYG plans that are appearing in the US and the UK. But unlike a traditional prepayment arrangement, Powershop’s customers can accrue a negative balance without their supply being interrupted. Instead, any excess usage is to a large extent safeguarded for the supplier by the default payment mechanisms. Will these new forms of advance payment become mainstream, so that eventually we’ll all be paying upfront for energy – as we do for just about everything else?